Welcome to Clear Lake Country Club, your finest option for a round of golf in Buhl, Idaho. 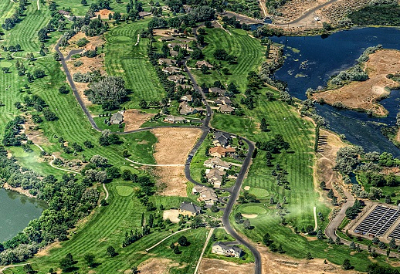 Nestled in the rolling hills along the shores of the Snake River in upper Hagerman Valley, is one of the Great American West's most unique golf courses. First established in 1929, Clear Lake Country Club has become a blend of tradition and commitment to improving the quality of the experience one finds on our grounds. In addition to some of the best Idaho golf, Clear Lake Country Club features year-round fly fishing in our fifteen acre spring-fed lake. With the continued fish program, fishermen of all skill levels have a chance to enjoy action-packed angling. Clear Lake also boasts a PGA pro-staffed golf shop, practice range, chipping and putting green, plus golf cart and club rentals. Our restaurant and lounge includes a daily lunch special, patio dining and shaded picnic area. Our grounds also offer full recreational vehicle hookups for overnight visitors. The fishing and the amenities are nice but the real star of the show at Clear Lake Country Club is the course design. Carved from picturesque, rolling terrain are 18 holes of golf across lush blue-grass fairways, moderately fast undulating greens and magnificent views scattered through a wildlife refuge-type setting. The layout at our course ensures that players of all ages and skill levels will feel both competitive and challenged as they strive to master our classic game.